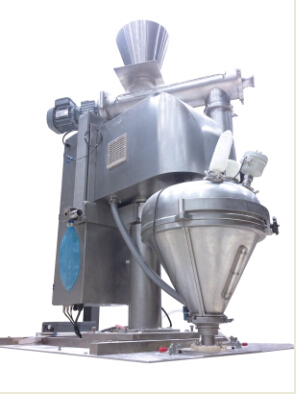 ◇Unique hopper design is our one of scientific and technological achievements with many years studying in powder packaging industry, and access to national utility model patents, in line with GMP certification requirements. ◇ The design principles: safety, health, simple, durable, and good looking. ◇There are economical and convenient hopper type to be selected. Economy model with the cone hopper is combined to one set, only to remove the cone then can be cleaned; convenient model: with horizontally openable front half hopper, as easily open doors and windows, which makes cleaning faster and easier. ◇Metering screw driven by servo motor, particularly suitable for requests high accuracy, high speed and more stability occasions. ◇Blender’s speed can be adjusted to suit different types of materials, so as to achieve the best measurement results. ◇ Whole machine set used SUS304, waterproof motor (IP65), could be washed directly by water, meets the food industry requirements. ◇ Contact parts could choose SUS316 as optional. Specialized design for granulates or powder, widely apply in food industry, products such as milk powder, glucose powder, albumen,coffee,rice powder, milky tea powder,seasoning,etc. ◇Spinner: suit for free flow product. ◇ Closure: suit for very good free flow product.